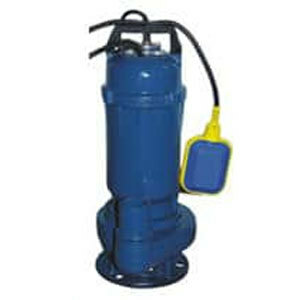 If you need best grade Submersible Dewatering Pumps, then we are the top company to do business with. We provide stainless steel multistage pumps with assurance of best quality. Today, we are proud to have one of the broadest scope of these pumps which are used in all popular Infra houses and ventures due to their unmatched quality and unwavering dependability. These pumps can be modified to siphon out sea water also or for siphoning out hot temperature fluids. Dewatering does not means just expelling abundance water. It has assorted difficulties which makes this task a difficult one. Some of these are dewatering destinations being open to sky, inclined to substantial mud, trash and unmanned. There is also need to move the pumps in different location and this process should be effortlessly convenient. Locally available Dewatering Pumps are generally developed, fitted and electrical installations by incompetent worker and hence the pumps are inclined to harm amid its development or defective electrical associations. BLAIRS Commercial Dewatering Pumps are designed and engineered with assorted, exclusive built-in protections which completely eliminates the aforesaid challenges. we have excellent understanding of the "water" and hence we develop pumps that handle water in the best way.